To reward outstanding achievement and to help ensure that fears about finance do not constrain prospective international students from considering study in the UK, the University of Birmingham offers a number of prestigious international scholarships for 2018 entry. 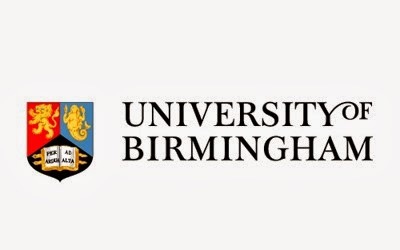 The University of Birmingham is pleased to offer the Commonwealth Shared Scholarships for outstanding international students intent on pursuing one of its masters degree programmes. The Commonwealth Shared Scholarship Scheme is a joint initiative between the UK Department for International Development (DFID) and UK universities, including the University of Birmingham, to jointly support scholarships for students from developing commonwealth countries who would not otherwise be able to study in the United Kingdom. Candidates are expected to hold a first degree at first class level and be under the age of 30 at the time the award begins. agree to return to their own country to work or study as soon as the award ends. The commission will only consider requests to extend leave to remain in the UK post-award for those wishing to move from Masters to PhD study. Strict conditions will apply. DFID requires that the University certifies when submitting its shortlist of candidates that they are sufficiently proficient in the English language to cope with the course for which they have applied. This will normally mean that you will have to have satisfied any requirements concerning competence in the English language which are a condition of your offer of admission. Eligible subject areas include Cancer Sciences, Economic Development and Regeneration, Economics. Antigua and Barbuda, Bangladesh, Barbados, Belize, Botswana, Cameroon, Dominica, Fiji, Ghana, Grenada, Guyana, India, Jamaica, Kenya, Kiribati, Lesotho, Malawi, Malaysia, Maldives, Mauritius, Mozambique, Namibia, Nauru, Nigeria, Pakistan, Papua New Guinea, Rwanda, Saint Kitts and Nevis, Saint Lucia, Saint Vincent and the Grenadines, Samoa, Seychelles, Sierra Leone, Solomon Islands, South Africa, Sri Lanka, Swaziland, Tanzania, Tonga, Trinidad and Tobago, Tuvalu, Uganda, Vanuatu, Zambia, Zimbabwe. In order to apply for this scholarship, you must submit an application to both the University of Birmingham and the Commonwealth Scholarship Commission. The competition at the University of Birmingham will open in November. You can complete the University's application via its online Commonwealth Shared Scholarship application form once the competition opens. You may submit the application form before you have received an offer from the University, however you must have secured your offer before the deadline of 31 March 2018 in order to be considered for a scholarship. To submit your Commonwealth Scholarship Commission application, you must complete the Commission's Electronic Application System (EAS). Guidance on completing this form can be found at http://cscuk.dfid.gov.uk/apply/shared-scholarships/info-candidates. The external scholarship application deadline is 28 February 2018 (extended to 31 March 2018). *Deadline extendend following delay in opening of applications for 2018 entry by the UK Department for International Development (DFID). The University of Birmingham (informally Birmingham University) is a public research university located in Edgbaston, Birmingham, United Kingdom. It received its royal charter in 1900 as a successor to Queen's College, Birmingham (founded in 1828 as the Birmingham School of Medicine and Surgery) and Mason Science College (established in 1875 by Sir Josiah Mason), making it the first English civic or 'red brick' university to receive its own royal charter. For over a century the University of Birmingham has been recognised as one of the world’s leading universities for the quality of its teaching and research. The school attracts students of the highest calibre from around the world and have been welcoming international students to the University for over 100 years.